The RIB200 is our rough-in box for block, brick and poured concrete walls. 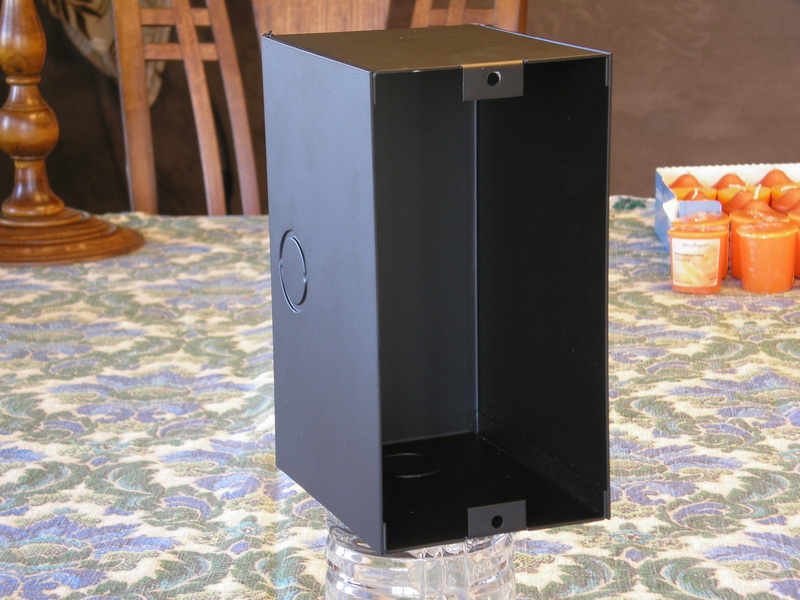 This rough-in box is designed to be sunk into the wall to provide a flush mount surface for you SAC. With it's knockouts, you can easily install this box in a concrete or brick wall and be assured your rough in box will be ready when it comes time to install the face plate. The RIB200 is sealed to keep out moisture and concrete. Knockouts allow easy conduit attachment. Dimensions 4"W x 7.5"H x 5"D.
Knockouts for .5" and .75".